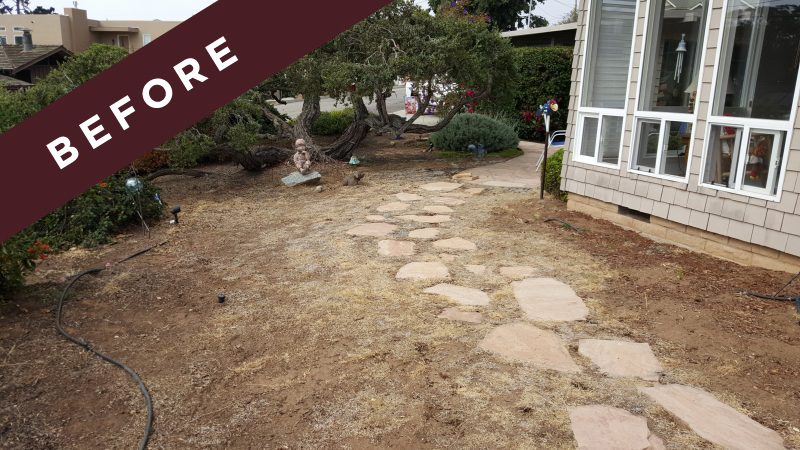 This Morro Bay yard needed some new life. 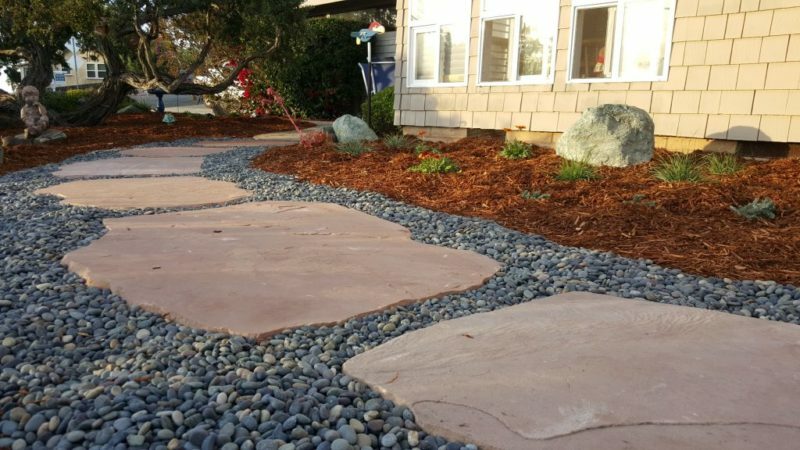 Our Client, Carol, wanted a new flagstone pathway and water-wise plantings. We used large, rose colored stones with Mexican beach pebbles in between. 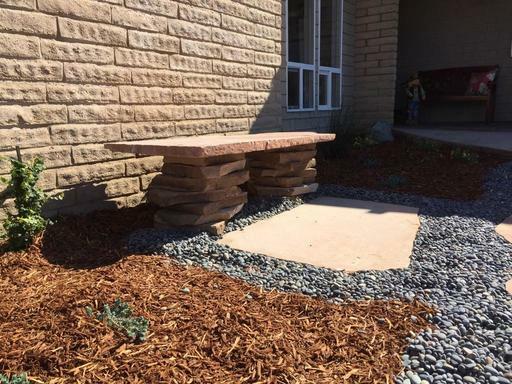 We also built a stone bench so she could sit and look out at her magnificent ocean view. I was so pleased with the quality of work, the schedule that was given and the complete courtesy of the crew and owners during the project and the property left broom clean at the end of each day. Everything was done according to the design and turned out fantastic! Luke and Melody are owners that follow through from preparation of planning and completing in a timely fashion.